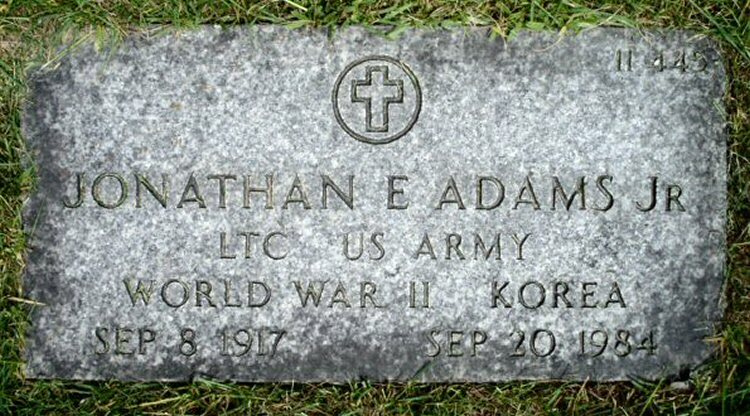 Adams served initially as a 2nd Lieutenant in Company A during WW-II earning the Silver Star and Bronze Star Medal as well as the Purple Heart. He also served in Korea. Jonathan went on in his career to retire as a Lieutenant Colonel.